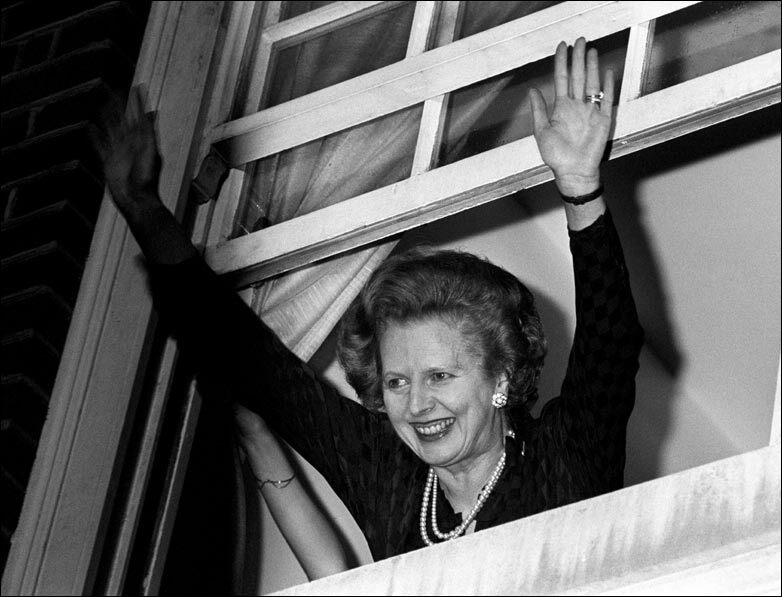 Winning her second term 1983. The whole country was frozen, dry and still in March and early April. In my garden, which at this time of year is usually bursting with buoyant blooms, nothing changed for weeks. This was all due to the strange, bitter weather, of course. Spring had been arrested. It was as if the whole country was waiting for something to happen. Then Margaret Thatcher died. Momentous. In the tidal wave of coverage about her, two words keep cropping up: passion and power. The exact opposition between dark Pluto and expansive Jupiter across the power axis – Cancer/Capricorn. These two signs are country and queen, respectively, emotional power and temporal power. Pluto and Jupiter are in a T-square to her political Libra Sun. She sucked up strength from controversy. According to people who worked with her, she liked to argue – that was how she formed her ideas (Mercury is part of the T-square too). Libra is supposed to be all about harmony, but in fact, this is one of the most party political signs. Thatcher’s question was always: “Is he (rarely she) one of us?” Her effect on the nation was also polarising. Both her character and her policies pitted people against each other. Then she also has that stern, ambitious Saturn Rising in Scorpio. That must have given her tremendous focus. Scorpio excels at winnowing out everything that is “irrelevant” (including people) , and combined with Saturn, you can get real ruthlessness. Saturn has not yet returned to the exact spot it occupies in her natal chart. There are 4 degrees to go. But I believe that the effect of transits usually starts when a planet enters the sign, so her third Saturn Return started in October. Thatcher had glamour. Look at that Moon-Neptune conjunction in blingy Leo on the Midheaven. That lunar placement gives mass appeal, and combined with Neptune, an almost hypnotising effect. The Leo is evident in her dramatic public persona: that blond swoosh of hair, the shiny clothes, the blood red lips. It’s not that we “get the leaders we deserve”, it’s that we get the leaders who reflect something of ourselves back at us. That’s why the Moon-Neptune conjunction is so powerful. 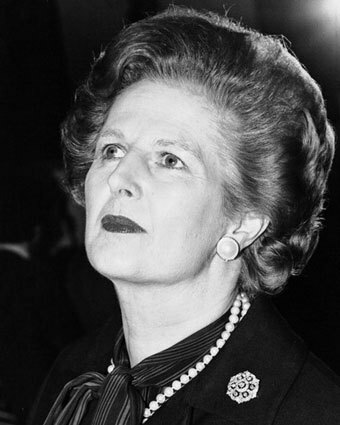 Margaret Thatcher was one face of Britain: cold, domineering, uncompassionate; glamorous, intelligent, brave. She was a British lion. But there’s something rather Sunset Boulevard about her demise in a suite at the Ritz, alone except for a carer. Matthew Parris, a great admirer of hers, has written an excellent piece in today’s Times, which points out an interesting truth. Thatcher may have been worshipped by many, but she was loved by hardly anyone at all. The Sun was almost exactly opposite her natal Sun the day she died. So her life force was at it’s lowest ebb in the year. Mars was also opposite her Sun. Mars rules the blood, and she died of a blood clot to the brain, represented by Mercury, also opposed by Mars yesterday. It was a merciful release, of course, so no surprise to see Venus leading the way for those planets. The Moon transited her natal Uranus on the night she died, while transiting Uranus is exactly opposite her Mars. All this speaks of a speedy and surprising end, in the end. Of course transiting Jupiter is involved. He comes to take us home. Jupiter is on the cusp of her 8th house of death and exactly on the midpoint between her massively hard-working natal Jupiter-Saturn sextile, creating a transiting yod. Finally, the North Node, the destiny which pulls her forward, is approaching her ascendant. The solar eclipse (traditionally the sign of the death of a leader) in May will be a few degrees from opposition to this point. She has completed her task, a journey from shopkeeper’s daughter to world leader to the mental wilderness she inhabited in her last years. The cold dry spell has broken. It’s raining. Read more on The Oxford Astrologer about Thatcher and the Thatcher years here. To read about Jupiter and Death, click here. Oh yeah – the jupiter pluto opposition thats almost exact gives her plenty of ability and or luck in business (big(jupier)business(pluto). But jupiter in capricorn has the potential to make a lot of money and lose a lot of money something which has happened to the british economy by continuing her edits. I am glad she is dead. I wish her policies would die as well. PS have you seen the line linking venus and uranus as a trine – that is not a trine. Astrodienst strikes again. Something else to add. I think that the transiting jupiter that was quincuncing her natal saturn is very significant. This is the end of something good (fallen angel) and you have to admit she did not have a bad life. I also think that she will be reborn as a consequence of this jupiter/saturn connection to a much worse life but always with something of a nagging feeling of a loss. Don’t forget the full moon of March 27 which was almost conjunct her Mars and the New Moon of tomorrow (Wednesday) will be precisely opposite her Sun. Personally I did not like her at all. I never understood why people always describe Libra as so very kind and friendly. Mimi – I find Libras can be quite manipulative – they want everything to be nice, and they usually want their way…. With that out of the way: Wow. There are so many things to learn by studying this chart! Well, as an 11th house Libra sun with Scorpio asc (there the resemblance to Mrs T ends I sincerely hope!) I have to say that some of us are kind and friendly and I for one aim to be working for the greater good. I dare say Thatcher might have said the same, but I think she proved to be highly divisive and destructive, and eventually revealed herself to be hugely ego-centric – “we are a grandmother” just about sums it up! On another note, reading about David Cameron (another Tory Libra, big groan), Jupiter & death, I think there is rather a howler in this piece, in that wasn’t Jennifer Jane Gordon Brown’s daughter, not DC’s…? You are right — what was I thinking!? I have fixed it now. I think the huge ego is there with the Leo Moon-Neptune. Great. Really interesting blog by the way, full of insight and love the use of pictures too. And the Mon is conjunct Regulus, the royal star. With that on the MC no wonder she felt born to rule! Was it Mitterand who said she had the lips of Marilyn Monroe and the eyes of Caligula! Those 2 sides, Neptune on MC and Saturn Rising in Scorp. “It’s not that we “get the leaders we deserve”, it’s that we get the leaders who reflect something of ourselves back at us.” I find MT was deeply disturbing yet utterly fascinating. Her ‘gun-ho’ bravado on the world stage was so inspiring – I have a saturn conjunct moon in aries, hope she’s not mirroring some latent war ardour in myself! – With her moon conjunct neptune, would she have been prone to self-delusion / illusions? And her actual death – Pluto was so close to her jupiter opposite natal pluto, would this have been significant? Yes I think the Pluto counts and yes Neptune/Moon does have problems with self-delusion. I’m also interested in the yod formed by Neptune Uranus Mercury, which says something about her change of voice and image and how that helped propel her to power. The quincunx means something has to shift in order to work – and she shifted her voice down an octave. In the interests of accuracy, it’s a matter of record that Thatcher was extremely kind to people on a personal level, especially her huge staff and many others she came into regular contact with (eg photographers, security detail, children of friends etc): the many small kindnesses she extended are legion. The staff at both No 10 and at Chequers were in floods of tears when she left (in contrast to their reaction when Cherie had to go!). Unlike most leading politicians here, she never lied to the British people, and for that alone she deserves our respect. The situation she took on when voted into power was dire: the economy of the country was on its knees and the streets riven with violent strife. The unions were making a concerted bid to dictate policy; we had to be baled out by the IMF who forced a devaluation. I was in my 20s then, trying to make a living and forge a career, and I remember it all vividly. What she did was difficult and very unpopular, but very necessary. Then like all revolutions, it was taken too far; politicians always seem to end up falling for their own PR. Thanks for the reading: very interesting indeed. And wasnt a hitler kind to animals and children? One of my most vivid memories of that period was the sudden appearance of many many homeless people on the streets. I can remember Lincoln’s Inn Fields as a cardboard city, and the bullring under the South Bank centre with huge fires and shadowy figures wrapped up against the cold. It was apocalyptic. I didn’t mean to say that all Libras are unkind or evil. I have a dear friend who is a Libra and she is a very nice person. However, every sign has its own strategy for getting what they want: Aries just asks for it, Libra tries to get there by talking and talking and talking some more. They just keep talking and negotiating until the other party says yes – out of exhaustion ! If you look at it that way Libras are not nicer than any other sign. We all have a strategy. Jupiter can help a person to achieve high places and Margaret Thatcher used her Jupiter very well. But : Jupiter can also cause a person to become very pompous and arrogant. That is what happened to her and what caused her to step down.